I really like the mix of leaf colour here… especially the variegated leaves of the lonicera. 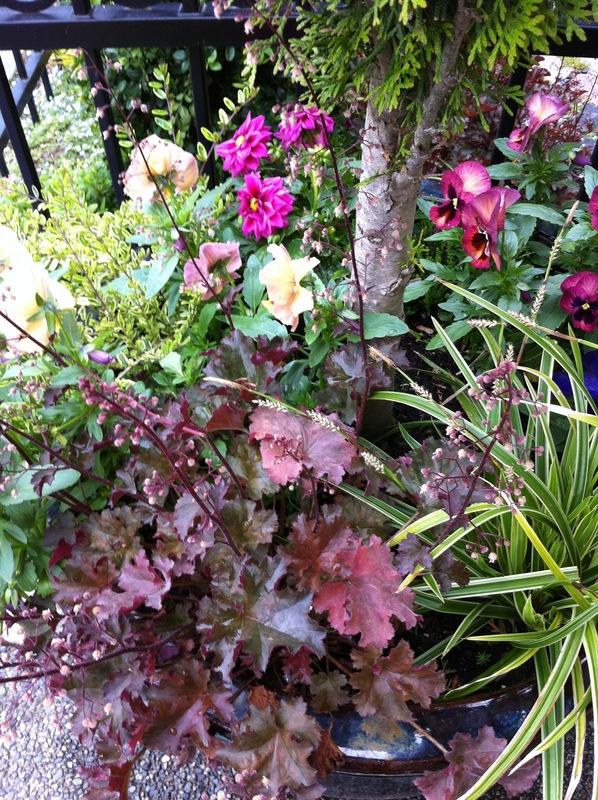 Heucheras are invaluable! I have several, but my favourite is a really pale-leafed one that stays small and has luminous pink flowers! Your pink poppy in the side bar is gorgeous! I love poppies! I was at the local farmers market yesterday and couldn’t resist getting a flower bouquet with poppies and iris for only $5! 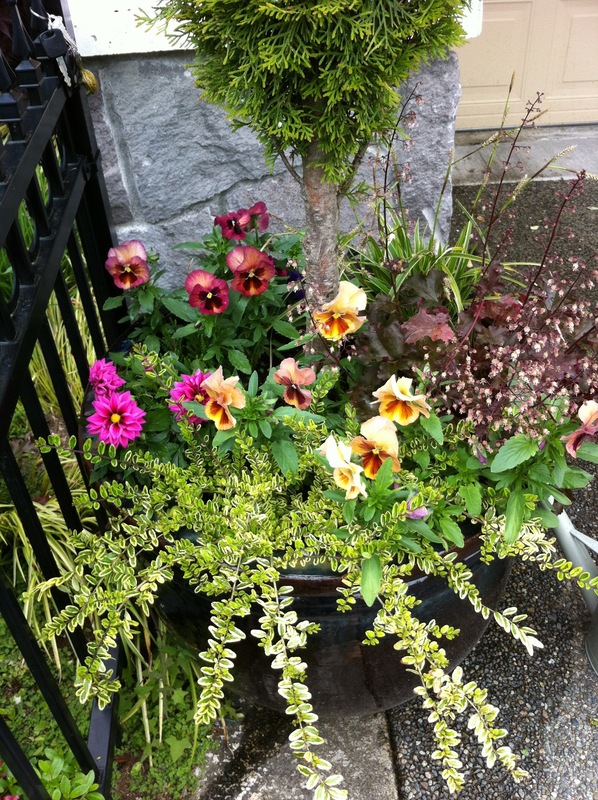 I do love mixing annuals and perennials but ran out of time this year especially with the late blooming of my pansies from seed…I will keep these containers in mind! 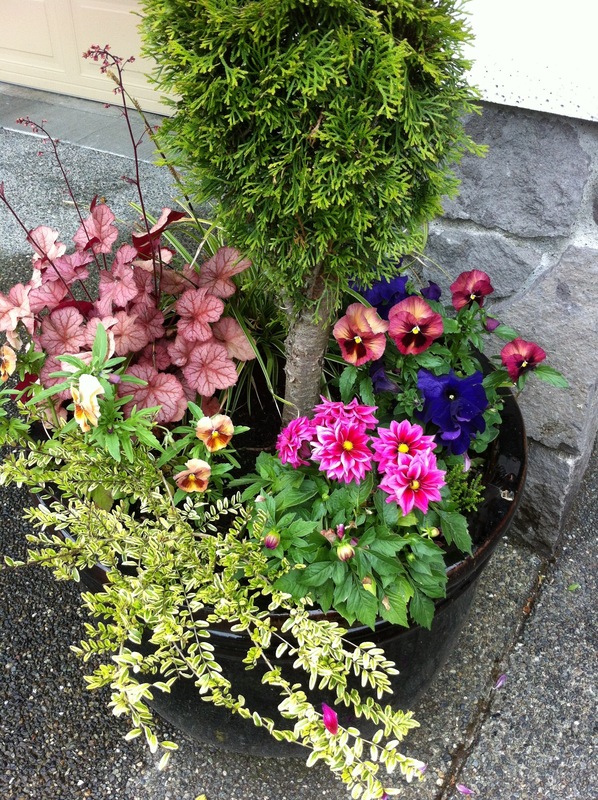 I have wanted to grow pansies from seed, was it easy? I even collected some seeds last year, but never started them. Lovely Elaine. Heuchera seems like such a workhorse of a plant, very versatile. I need to try it. With all the variety in colors, heuchera is pretty amazing. Lately I’ve been admiring the bright lime green one….it’s hard to miss! I love this and am a container kind of guy myself :). Previous Previous post: Wisteria All Grown Up!